Merton Council is calling on residents in the borough to be a part of its Mega Recycle campaign and become one of the official door steppers who will be going around the borough talking to fellow residents about the benefits of recycling and the cash prizes available. There are also team leader opportunities too. For eight weeks from the 23 April, a team of people will be knocking on residents’ doors with special Merton Mega Recycle packs including information on what and how to recycle and a paper pledge form for people who prefer paper to online. They will also hand residents a sticker to stick on their recycling boxes so the council’s recycling crews can see who wants to be part of Merton’s Mega Recycle. When residents sign the pledge, they also have an opportunity to nominate a primary school for a cash prize. The doorsteppers will be given the relevant full training and valuable work experience. Canvassers will be paid £8.55 and team leaders will be paid £9.55 per hour. Anyone interested in being a Mega Recycle door stepper should visit www.enventure.co.uk to download the job description and application form. 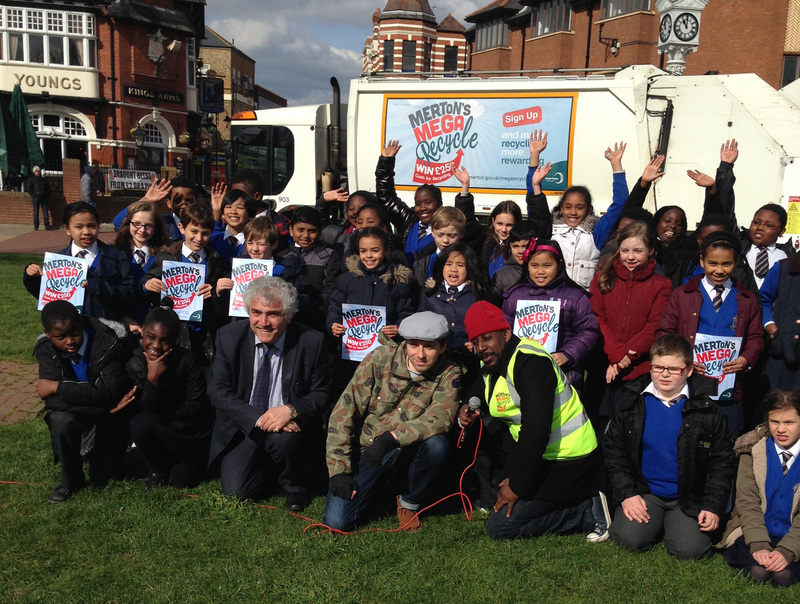 The first week of the Merton Mega Recycle has seen nearly 200 residents sign the pledge.